Yes, you can absolutely put raw fillings into peppers and bake them. You just need a bit of know-how. Don’t worry, we’ll fill you in. 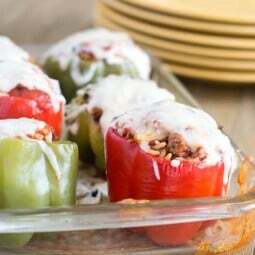 If you don’t want to cook up a filling for your stuffed peppers, which can be oh-so time consuming, you can still make them. 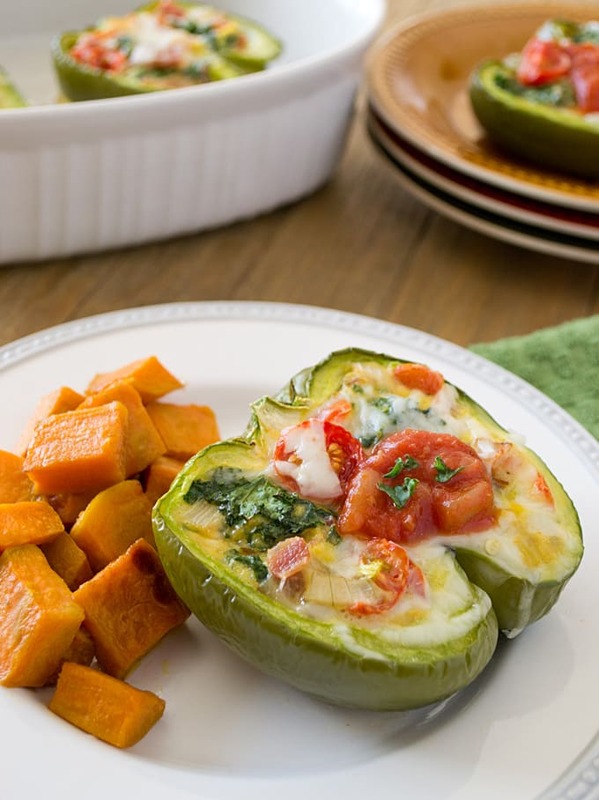 In fact, stuffed peppers can be a super-quick weeknight meal depending on how you cut your pepper. 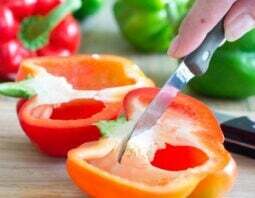 Halved peppers are faster to cook– plus they look like little boats. I love that! As mentioned, your best bet is halved peppers rather than whole peppers. The reason is that they’re shallower and thus contain less filling, which will heat and cook through quicker. 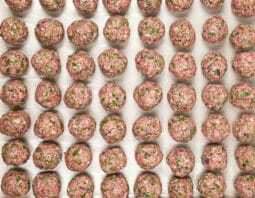 When dealing with a raw filling, especially if it contains meat, don’t pack the stuffing in too tightly. You need the heat to circulate in there to make sure everything cooks evenly. Use an instant-read thermometer. 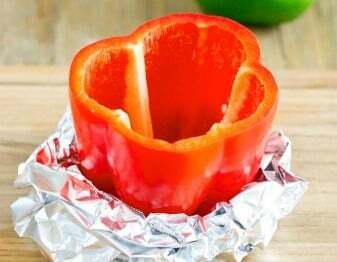 This is critical if you put raw meat or eggs in your stuffed peppers. 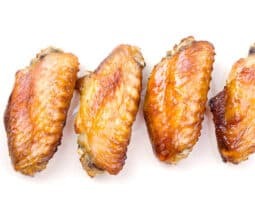 Make sure that a filling with chicken is at 165°F and those with ground meats are at 160ºF. 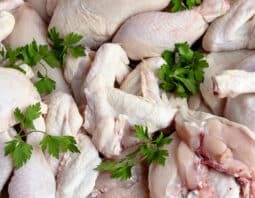 Technically, chunks of beef, lamb, veal and pork could be safe at as low as 145°F but given that they’re inside a pepper with other ingredients all touching each other, we still recommend that you bring the filling up to 160ºF. A filling containing egg also needs to reach 160°F in the center. 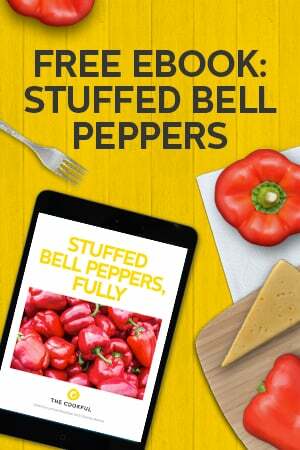 It’s difficult (read: impossible) to add uncooked carbohydrates to a stuffed pepper. Uncooked rice or pasta will not cook properly because of the lack of liquid inside the peppers. Raw pasta/rice? Blech. 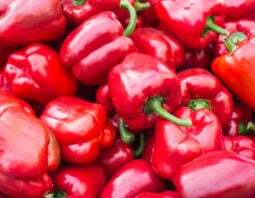 Adding the amount of liquid you would need to cook the carbohydrate properly would make the peppers waterlogged. 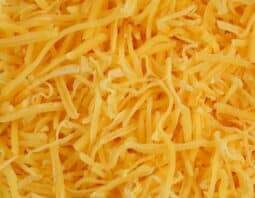 If you want to include a carb, cook it first and then add it to your raw ingredients or use a fully-cooked filling. 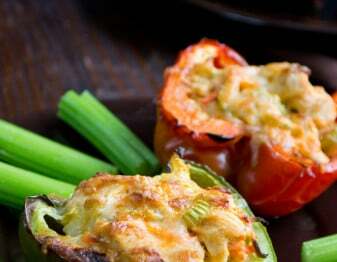 Here are some great ideas for cooked fillings for stuffed peppers. I still want to know who these miniature gentlemen are. Wee knights on the loose, shades of David Bowie. It’s why we use hypens, “week-nights”. Jeremy, I’m not sure what your complaint is. I just did a good search online and weeknights is correctly spelled as one word and is not usually hyphenated. Thanks for your concern though.